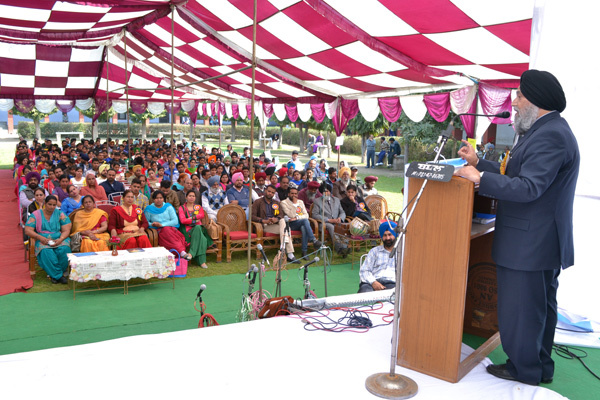 Annual Prize Distribution Function was held at M. M. Modi College, Patiala where Dr. Jaspal Singh, Vice Chancellor, Punjabi University, Patiala addressed the students and honoured them with Roll of Honour, College Colour and Merit Certificates. He lauded the achievements of the students in the field of academics, sports and co-curricular activities. He also appreciated the efforts of the college for maintaining high standards of performance and hoped that the same level of enthusiasm and sincerity will be maintained in the years to come. He urged the students to contribute maximum for the maximum number of people. He spoke about the concept of inclusiveness and plurality which Indian culture represents in abundance. He also emphasized the need for higher education of girls and said that through education women can be empowered in a shorter span of time. Earlier Dr. Jaspal Singh inaugurated the function by lighting the lamp where students of the college performed Saraswati Vandana and Shabad Gayan. 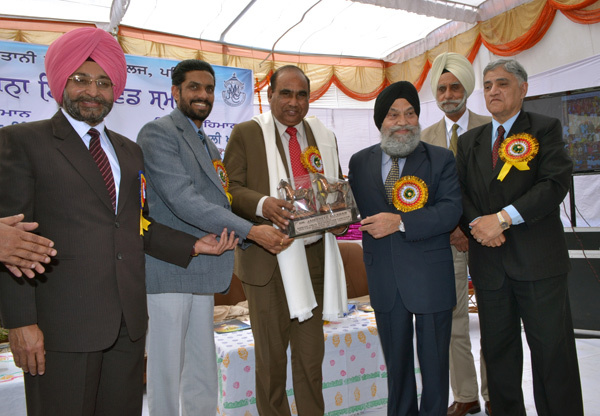 Dr. Jamsheed Ali Khan, Dean College Development Council, Punjabi University, Patiala was the Guest of Honour on the occasion. 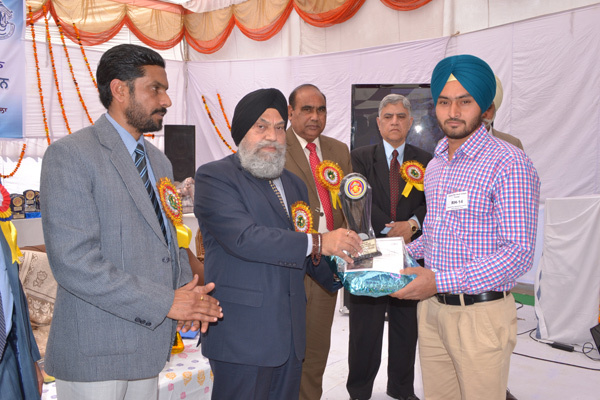 He gave away the prizes to the meritorious students and talked about the Gross Enrollment Ratio of the State of Punjab which stands at No. three in the country. He said that this honour is possible only because of the contribution of leading colleges like M. M. Modi College. Dr. Khushvinder Kumar, Principal of the College, welcomed the guests and read the annual report briefly. He congratulated the winners and promised that every help would be provided to the students for enabling them to excel in their respective fields of performance. Dr. Harcharan Singh, Registrar of the college shared that 25 Roll of Honour, 127 College Colours and 301 Merit certificates were given to the students. Pankaj Singla, Amanjot Kaur, Jaspreet Singh, Harjot Kaur and Abha Garg were awarded the Roll of Honour for standing first in the Punjabi University Examinations. Karan Kaila and Pooja Chaudhary were honoured for their excellent performance at International level. 17 sportspersons of the college won gold and silver medals at the National level. Varinder Khurana, Balbir Kaur and Amandeep Kaur got college colour for their achievements in co-curricular activities. 16 coaches were also honoured by the College. The Chief Guest also launched Android App of the College that will enable the mobile users to update themselves about the news of the college. 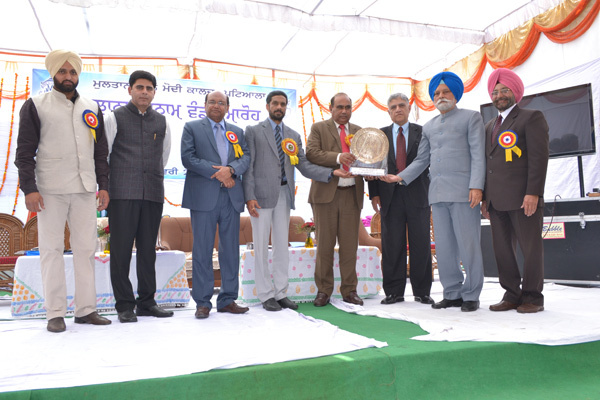 Dr. S. S. Chauhan, Former Principal of State College of Education, Patiala was also felicitated on this occasion. 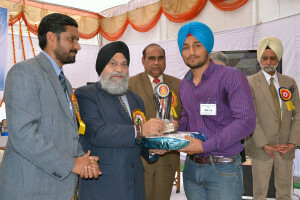 Representatives of the College Management Colonel Karminder Singh and Sh. Surindra Lal were also present on the stage. Former Principals – Sh. S. R. Sahni, Sh. S. B. Mangla and retired teachers – Dr. Rashpaul Singh, Prof. Mangat Sood, Prof. R. R. Sayal, Prof. Shashi Kant, Prof. H. S. Chimni, Dr. C. P. Sharma and Prof. S. P. Singh were also present on this occasion. Dr. Vinay Jain, Vice Principal proposed the vote of thanks. 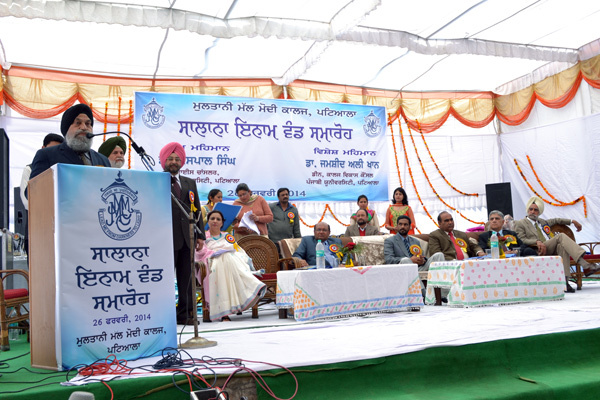 Prof. Balvir Singh, Prof. Baljinder Kaur and Prof. Ganesh Sethi conducted the stage.